Video clip synopsis – The strength of democracies is founded on the breadth of the representation of it's parliamentarians. Broadband MP4 parlindi_bb.mp4 (10.8MB), suitable for iPods and computer downloads. Find out what position was held by Mal Brough and what his connection was to Indigenous rights. Who does Mal Brough identify as the first Indigenous politician? 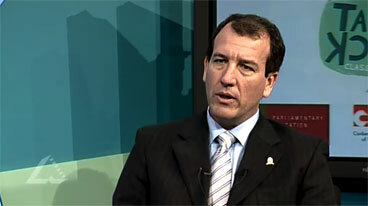 Mal Brough says he has two choices in regard to the direction the country is going. What are those choices? Do you agree with him? Explain your answer. Research the process a person must go through of they want to become a politician in Australia. Create a leaflet that explains this process, step by step, for a person planning on entering politics.